Israel Electric Corporation (IEC) suffers between 10,000 and 20,000 cyber attacks every day, Yiftach Ron-Tal, chairman of the IEC board revealed Tuesday. Speaking at the annual cyber summit hosted by the Israel Institute for National Security Studies, Ron-Tal said that "a cyber war is a prolonged one and unlike a single tactical strike, it's far more dangerous and may take longer to recover from." The IEC chair explained that Israel's national power company "Has recognized hacking attempts via viruses, false passwords etc. We can also easily detect the source of the strike, but we can’t necessarily pinpoint it to an exact location." The five main source-locations for attempted hacks into Israel's power grid are the United States, China, Russia, South Korea and Israel, he said. "The number of hacking attempts from Iran is relatively small – about 100-200 a week." 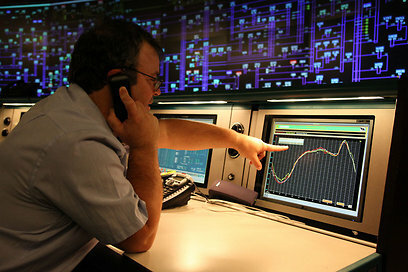 The Israel Electric Corporation grid is on Israel's critical infrastructure list. Commenting on Hezbollah's threat to target the sensitive electrical grid, Ron-Tal said: "IEC control posts span across 64 sites, so they make hard targets for missile strikes. If one site is hit, the damage can be contained and repaired." The online grid, however, is under serious threat: "IEC's management is based on internet technology, with only two major networks – an operational one and an administrative one – the cyber threat is much more significant to us. "Our job it to try and create impregnable firewalls. That is why we invest in monitoring and detection efforts, followed by (threat) isolation and neutralizing." Former Military Intelligence Chief Amos Yadlin also spoke at the conference. "We have no history to reference, and no one that knows the subject with any real depth," he said. According to Yadlin, "We speak openly about cyber defenses, but there are two other issues – cyber warfare and cyber espionage – which are not discussed openly." See all talkbacks "'IEC suffers 20,000 cyber attacks a day'"